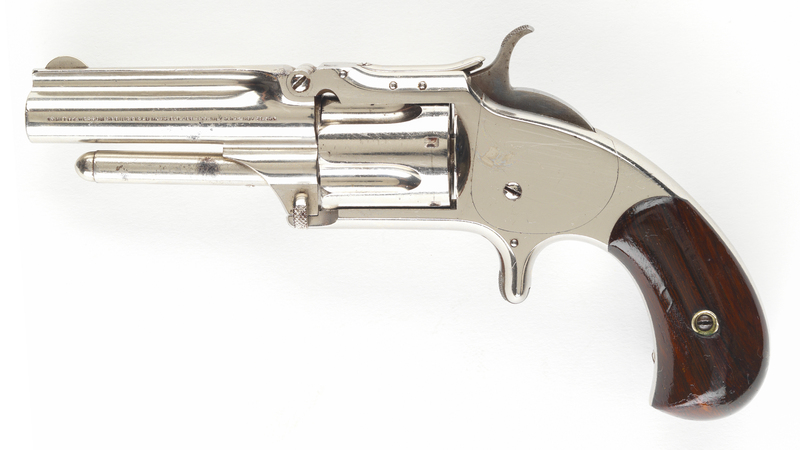 S&W Model 1½ Second Issue revolver s/n 87489. Nickel finish with rare short barrel. 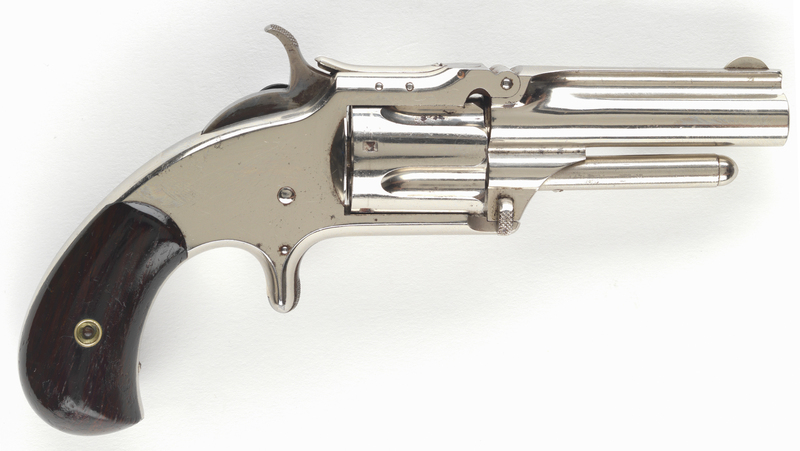 Nickel-plated with rare 2 8/10 inch barrel.